3-Melbourn Walker was born on 18 Mar 1877 in Exton, Tasmania, died on 18 Mar 1946 in Devon Hospital, Latrobe at age 69, and was buried in Mar 1946 in Deloraine Cemetery, D101-0548. 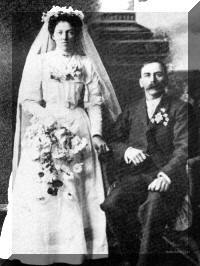 Melbourn married Adeline Eva Jarman, daughter of Josiah Jarman and Elizabeth Stuart Galloway, on 29 Sep 1909 in Parkham, Deloraine. Adeline was born on 20 Jun 1875 in Deloraine, Tasmania, died on 17 Apr 1960 in Tasmania at age 84, and was buried in Apr 1960 in Deloraine Cemetery, D101-0548. At the time of Melbourn's birth Michael was leasing a farm at Exton but the family later shifted to "Green's Creek", Harford. After only 12 months schooling Melbourn went to work for farmers in the Parkham and Harford districts, becoming a good ploughman. He lived away from home during the week, walking sometimes long distances back to the family farm on Saturday nights. It was on such a night in the dim light of the bush track that he was confronted by a Tasmanian Tiger, not a dog as he first thought. That was the quickest trip home he ever made. As the Slaters' farm on the Rubicon River, where the family was then living was very wet and cold in the winter they moved to another nearby property known as Carr's. Here Melbourn worked for his folks until going to work for the Von Bibra family at Dunorlan. It was while working there that he was married to Adeline Jarman at Parkham on 29th September 1909 by the Rev. Delbridge. A son and daughter were born to the marriage. Melbourn was a very versatile and efficient farmer. He managed farms at Gunns Plains and York Plains for the Von Bibra's. He frequently went to King Island to gather clover and seeds of other crops. He later went to work for Wyatts at Beulah as a ploughman. About this time he received an offer to buy his brother's-in-law farm at Parkham. He paid 150 pounds for 100 acres, thus becoming the owner of his own farm. After a successful life as a farmer, Melbourn passed away at the Devon Hospital, Latrobe, aged 69. 4-Aubrey Ralph Walker was born on 13 Dec 1910 in Ulverstone, Tasmania, died on 15 Dec 1995 at age 85, and was buried in Dec 1995 in Wesley Vale Uniting Church, 61/1. Aubrey married Zetta Mary Huett, daughter of Arthur George Huett and Beatrice Harriet May Costello. Zetta was born on 1 Mar 1919 in Deloraine, Tasmania, died on 19 Sep 2010 at age 91, and was buried in Uniting Church, Wesley Vale, Tasmania. 4-Betty Lillian Walker was born on 1 Aug 1919. Betty married Frances William Harvey, son of Albert Edward Harvey and Alice Ellen Power. Frances was born on 20 Dec 1921 in Launceston and died in 1996 in Longford, Tasmania at age 75. They had 11 children: Kerry Francis, Nevin Ross, Robin James, Malcolm Dexter, David Melbourne, Stuart Edwin, Dennis John, Merrilyn Betty, Marlene Elizabeth, Danny and Stephen John. 5-Kerry Francis Harvey was born on 11 Jan 1943. Kerry married Margaret Gelston. Margaret was born on 6 Dec 1946. They had one daughter: Michelle. 6-Michelle Harvey was born on 2 Dec 1977. 5-Nevin Ross Harvey was born on 15 Mar 1944. 5-Robin James Harvey was born on 24 May 1945. 5-Malcolm Dexter Harvey was born on 28 Apr 1946. Malcolm married Brenda Lee. Brenda was born on 9 Sep 1949. They had two children: Christian and Merek. 6-Christian Harvey was born on 6 Apr 1979. 6-Merek Harvey was born on 19 Oct 1982. 5-David Melbourne Harvey was born on 28 Apr 1946. David married Helen Carey. Helen was born on 5 Jun 1946. They had one daughter: Megan. 6-Megan Harvey was born on 18 Nov 1985. 5-Stuart Edwin Harvey was born on 6 Oct 1947. Stuart married Ann De Weys. Ann was born on 19 Sep 1948. 5-Dennis John Harvey was born on 6 Oct 1947. 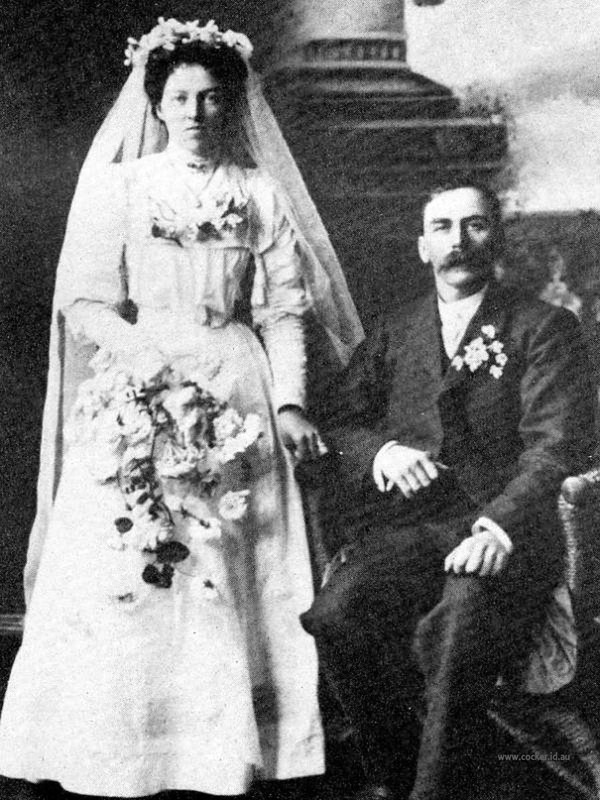 Dennis married Maria Boon. Maria was born on 5 Aug 1954. They had six children: Mark, Scott, Kelly, Rebecca, Simon and Travis. 6-Mark Harvey was born on 24 Apr 1971. 6-Scott Harvey was born on 23 Jun 1972. 6-Kelly Harvey was born on 19 Jul 1974. 6-Rebecca Harvey was born on 7 Oct 1976. 6-Simon Harvey was born on 3 Nov 1977. 6-Travis Harvey was born on 7 Aug 1980. 5-Merrilyn Betty Harvey was born on 3 Feb 1951 and died on 5 Oct 1951. 5-Marlene Elizabeth Harvey was born on 20 May 1953. Marlene married Richard Cantwell. Richard was born on 6 Sep 1946. They had two children: Michael and Andrew. 6-Michael Cantwell was born on 28 Nov 1977. 6-Andrew Cantwell was born on 21 Nov 1979. 5-Danny Harvey was born on 31 Oct 1954. Danny married Margaret Belbin. Margaret was born on 5 Sep 1956. They had three children: Heath, Lorissa and Joshua. 6-Heath Harvey was born on 12 Aug 1972. 6-Lorissa Harvey was born on 14 Sep 1981. 6-Joshua Harvey was born on 16 Mar 1984. 5-Stephen John Harvey was born on 18 Dec 1963. Stephen married Francis De Weys. Francis was born on 20 May 1966.